Before posting the second story from my Food Blog Forum trip, I would like to share with you the recipe for this moist and colorful cake, which I find the perfectly fitting beginning of September. If you like carrot cake, this one would also match your taste. Don’t be afraid to use too many vegetables, they all blend together beautifully. Let’s celebrate the first day of the harvest season with this cake (please scroll down for the recipe). Next day of our culinary adventure begins at the legendary Highland Brewing Company. Amazing local restaurants have served us many delicious dishes. For three hours we were able to taste the finest Asheville has to offer, paired with light and dark beers. It was quite a feast one would not forget for a while. However, the people made the event special – everyone so welcoming and friendly, sharing their experience with us and happy to tell us more about the food world of North Carolina. I hope you can get a feel of how grand this event was for me! A scratch-made buttermilk biscuit, with duck leg & liver terrine, spare rib jam, peach-pepper jelly, and shaved jalapeño. This dish from The Junction was amazing. Thank you chef Chad Kelly! Asheville Bee Charmer is a locally owned company offered a unique experience and an interesting taste of the world through honey, all from the comforts of honey tasting bar. From his upbringings in the hills and mountains of Appalachia, Chef William Dissen (The Market Place) always has been in touch with the outdoors and nature. He prepared for us foraged mushroom gratin, roasted shallots, parmesan herb crust, crostinis. Thank you, Dan and Jael Rattigan, the owners of French Broad Chocolate Factory! Highland Brewing Co. background information: Asheville’s first legal brewery since Prohibition, Highland is a family-owned, local favorite. Highland’s name honors the Scots Irish who settled in the Appalachian mountains in the 18th and 19th centuries, and whose culture continues to influence local music, drink, and language. Adding to the tradition of honor, all seasonal beers are named after protected features of the North Carolina landscape. The spacious tasting room, deck, and meadow are inviting spaces, both with music stages and bars. Complimentary tours are given every day and local musicians play often. Preheat an oven to 350ºF. Butter a 9-inch square cake pan and line it with parchment paper. In a medium bowl, toss together grated vegetables and apple. Over a sheet of waxed paper, sift together the flours, baking soda, ground cinnamon, ground ginger, and salt. Set aside. 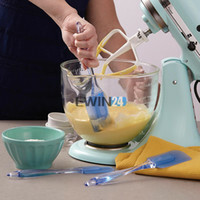 In the bowl of an electric mixer fitted with the whisk, beat the eggs and sugar, for about 2-3 minutes. Slowly pour the oil and vanilla, and whisk until blended. Add the flour mixture and stir using a rubber spatula until just combined. Bring the vegetable mixture, and stir until the vegetables are completely coated with the batter. Scrape the batter into the prepared baking pan. Bake until the tops of the cakes spring back when lightly touched and a toothpick inserted into the centers comes out clean, about 45-50 minutes. Transfer the pan to a wire rack and let the cake cool. Meanwhile, make the frosting: Using a stand mixer on medium-high speed, beat together the cream cheese, butter, and apple cider until light and creamy, 1 to 2 minutes. At low speed, add the confectioners’ sugar and cinnamon, beat until smooth. Using an icing spatula, spread the frosting over the cooled cake. Sprinkle lightly with cinnamon. Cut the frosted cake into squares and serve. The cake can be stored in a covered container in the refrigerator. Thanks for sharing. Your harvest cake looks divine. El verano se termina, pero nuestra amistad persiste; que platos tan apetecibles y que buenas experiencias. MI QUERIDA AMIGA; BIENVENIDA DE NUEVO!!! The harvest cake looks so good and healthy that I can even enjoy it as my breakfast! Thanks for sharing, Yelena.